Can safety can be stylish? In the hands of , yes it can. 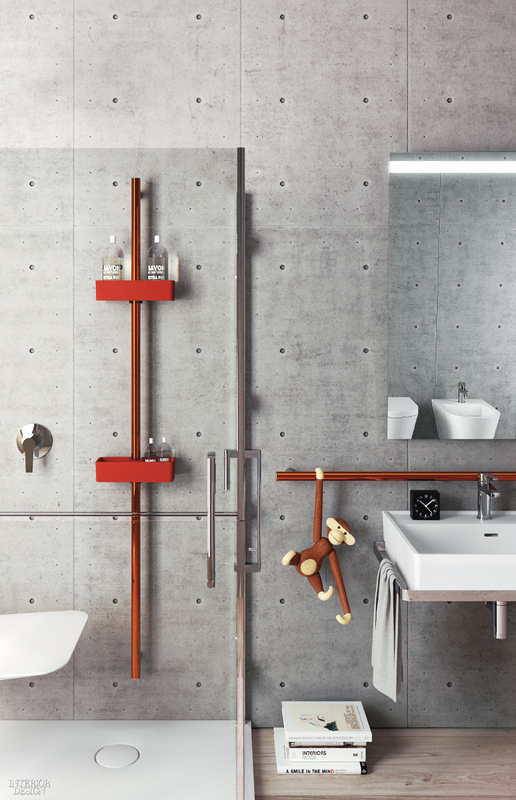 Made by , is a versatile range of bathroom appointments centered on a single component: a stainless-steel grab bar. 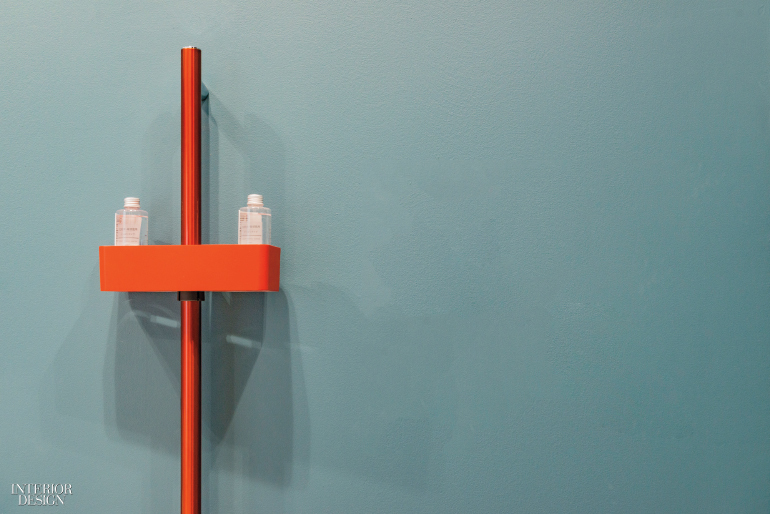 Affixed to a wall via aluminum brackets, the vertical version accepts polyurethane or solid-surfacing shelves; in horizontal applications, it serves as a towel holder. Spicy red is among the 15 powder-coat options. Auxiliary offerings include a polyurethane chair, stool, and folding shower seat.